Did you know that something as simple as adding a company logo, sign writing or stuck on sign counts as a modification to you vehicle and needs to be declared to your insurer? Whilst for many of us, that’s the extent of our tampering, vehicle modification has become second-nature for many car enthusiasts. 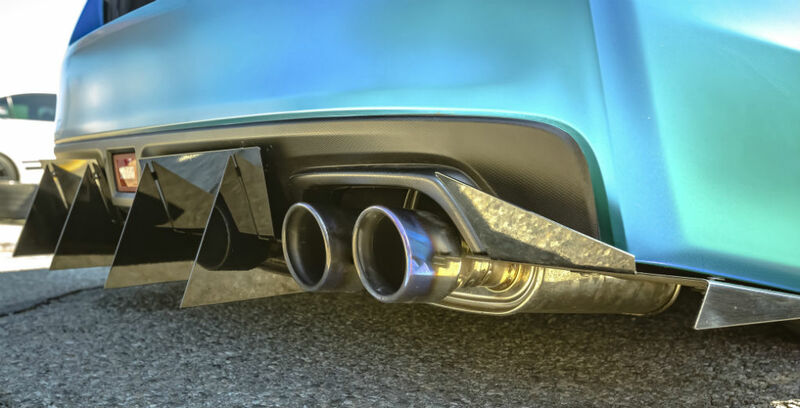 With the scope to improve a car’s appearance, performance and speed, we take a look at some of the most popular modifications being made to cars across the UK. From reboring, cryo treating and balancing, many car enthusiasts love to get a bit of work done on their engines or related vehicle mechanics. These changes are often implemented to improve the engine’s performance, making the car faster and more powerful. In the majority of cases, when your engine size is increased you will notice an increase in standard insurance premiums. Passionate car owners amend the bodywork on their cars to improve it aesthetically and make it stand out from the crowd. These changes could consist of flared wings, valances, tinted windows, wheel arches and more. It’s common for classic car owners to make modifications to their vehicles to improve the safety and give them a cleaner finish. Whilst many changes won’t impact the safety of the car, some – such as replacing the approved bumper – could compromise the vehicle. But how many people forget to tell their insurers? Higher quality brakes can lead to improved performance, increasing the longevity of the parts and decreasing your stopping distance; all factors which are particularly important for high-powered vehicles. Therefore, many car modification fans will alter their brakes alongside other areas like their engines. Many drivers turn their hand in attempting to fine-tune their car’s suspension to the optimum level and there are various ways that this can be done, whether it’s to create a certain visual effect or to improve the car’s performance. Some modifications such as spring clamps are ill-advised, along with lowering the car to an extent it cannot safely clear uneven road surfaces. However, others such as bushings replacement and a strut tower brace do provide benefits and may not affect your insurance premium. If you have made any modifications to your vehicle, you must declare this when taking out or renewing your insurance, or else your insurance may be invalidated. Finding competitive insurance can be difficult for modified cars but you should never be tempted to omit the truth as you could find that your policy is not valid if you try to make a claim. If you’re not sure about a second-hand car, always confirm with a mechanic and update your insurer. If you simply search for car insurance online and declare your modifications, you could find you’re your premiums suddenly skyrocket, or your cover will exclude all your modifications from your policy and only insure you for the stripped-back market value.